We are now down to ten players. Players are redrawing for seats at the final table. There are now only 14 players remaining in the tournament. We now have 20 players left and seats are being redrawn for the final two tables. 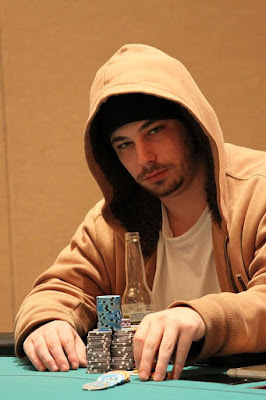 With 30 players left, the bubble has burst and all players are in the money. 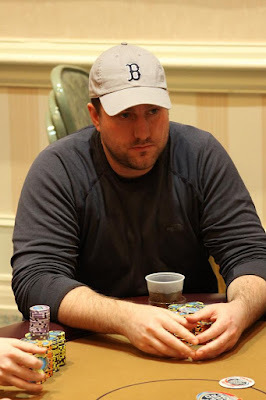 The players in the $400 NLHE event at the Foxwoods Poker Classic have returned from dinner break. A total of 256 players entered the $400 NLHE event. There are 36 players remaining and the final 30 players will finish in the money. We are now down to six players. There are now 21 players left in the 7-Card Stud 8/O event. Top 9 will finish in the money. There were a total of 88 players in today's $400 7-Card Stud 8/O Event at the Foxwoods Poker Classic and we are down to 51. 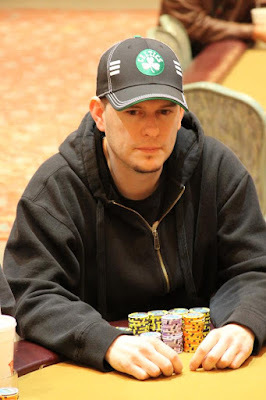 Chris Barnes is the champion of the $500 NLHE event at the Foxwoods Poker Classic. He takes home $32,799, the trophy and the leather jacket! Barnes had flopped top pair with a flush draw. The turn was the [8s] and the river came the [Th]. 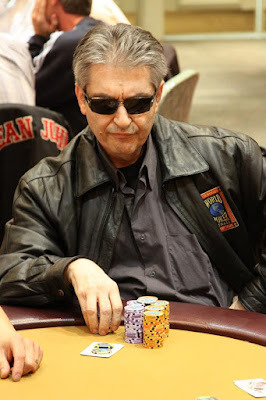 Barnes won the pot, eliminating Klier in 2nd place. 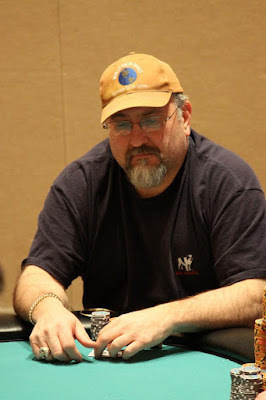 There were a total of 88 players in today's $400 7-Card Stud 8/O Event at the Foxwoods Poker Classic. The board came [Ad][8h][2d][7s][8s] and Barnes won the pot, eliminating Eriquezzo from the tournament. The players are currently on a break. 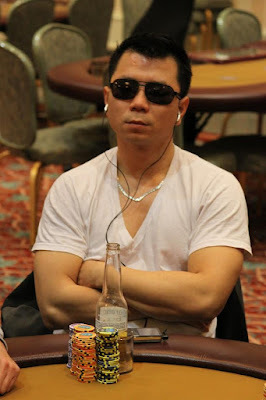 When they return, the blinds will be increased to 10K-20K with a 2K ante. 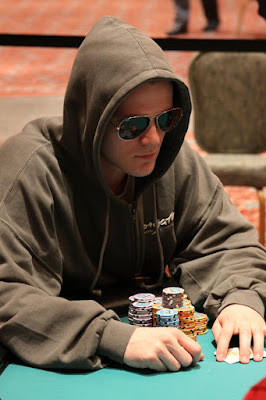 Eriquezzo had outflopped Klier with two pair, but the [9s] on the turn gave Klier a better two pair. 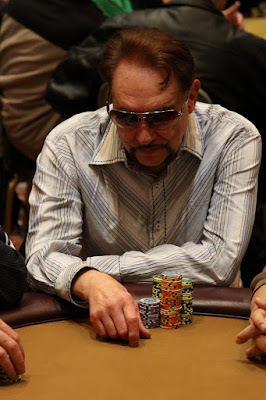 The [Qd] fell on the river and Klier doubled up. 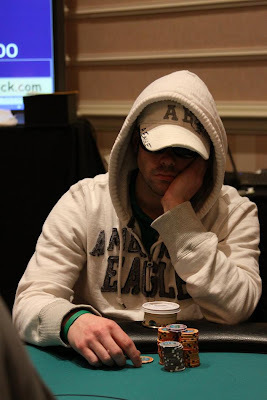 The board ran [9s][8h][3h][2h][Jh] and Eriquezzo won the pot to eliminate D'Amico in 4th place. In a blind vs. blind scenerio, Chris Barnes has just doubled up with [Ad][As] against the [Jd][Js] of Ben Klier. Barnes now has well over one million and has taken the chip lead. 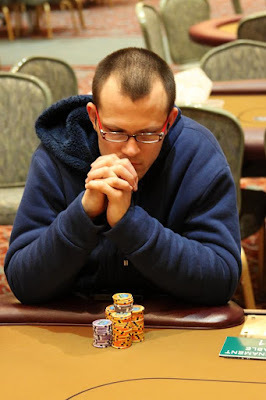 In an odd twist of fate, Ryan Eriquezzo just doubled up to over 600K with [6h][6d] against Marc D'Amico's [Kh][Qd]. Just moments earlier, D'Amico had doubled through Eriquezzo with pocket sixes against Eriquezzo's pocket aces. The board came [Qd][Jd][9h][Ts][3d] and Barnes made an ace high straight to win the pot and eliminate McNamara in 5th place. 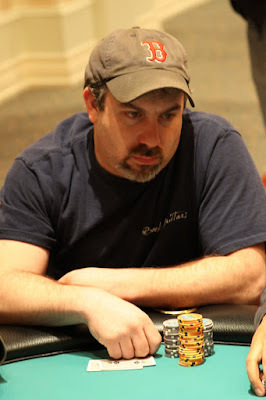 The board came [Qh][4c][4h][2c][6s] and Barnes won the pot to eliminate D'Acci in 6th place. A total of 256 players entered the $400 NLHE event. There are 161 players remaining and the final 30 players will finish in the money. 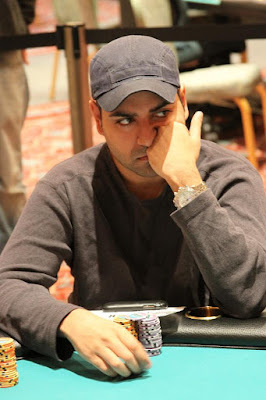 Vinny Pahuja was all in preflop for his last 85,000 with [5d][5s] against Marc D'Amico's [Jd][Jh]. 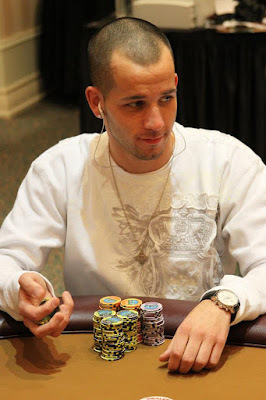 The board ran out [9c][7h][3s][7d][Jc] and D'Amico wins the pot to eliminate Pahuja in 7th place. Eriquezzo had a commanding lead in the hand with his aces but the [9d] on the turn gave D'Amico an open ended straight draw. The [Th] on the river gave D'Amico the straight to crack Eriquezzo's aces and double him up. Eriquezzo flopped top set and was way ahead in the hand. The turn came the [6h] and the river was the [Ad]. 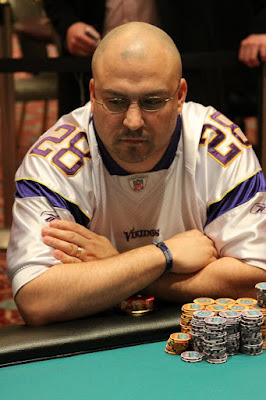 Eriquezzo won the pot and eliminated Degray in 8th place. 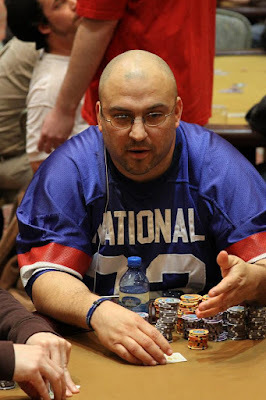 The [Ah] on the turn gave D'Acci the flush and the [3s] on the river was no help to Becker, who is eliminated in 9th place. 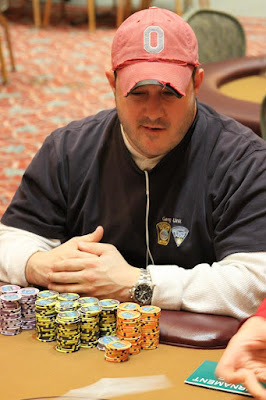 The board ran out [Kd][Qd][Jd][6c][5d] and D'Amico's aces held up to win the pot and eliminate Cascone. 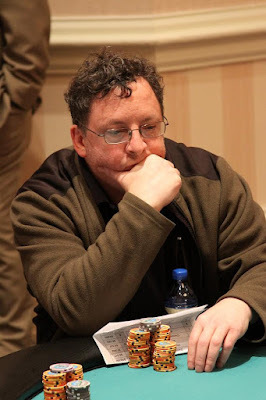 Today at the Foxwoods Poker Classic, the $400 NLHE event kicked off at 11am this morning. At 1pm in the main poker room, the $400 7-Card Stud 8/O starts play. Also, the final table of the $500 NLHE event restarts at noon. Be sure to follow all the action here or on Twitter at www.Twitter.com/FoxwoodsPoker. We are now down to the final ten players and play has concluded for the night. Play will resume tomorrow at noon. 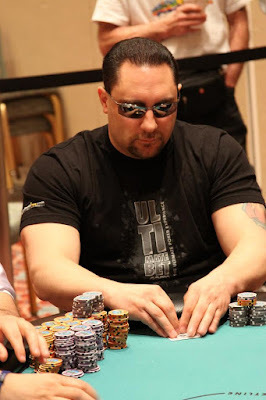 Sean D'Acci is the chip leader with 417,000. 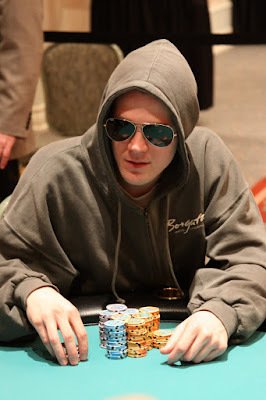 Ben Klier is in second with 414,500. 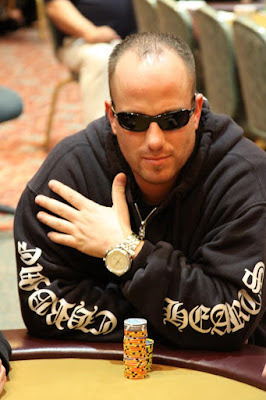 Bobby "The Bus" Ferdinand just took down the $400 Pot Limit Omaha event at the Foxwoods Poker Classic. 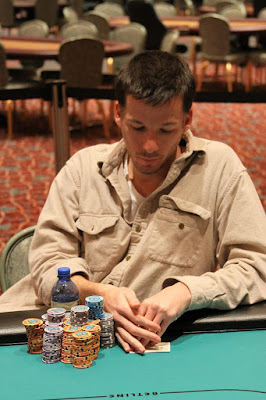 There was an equity chop at the end of the tournament and Alan Lowry is officially your runner-up.